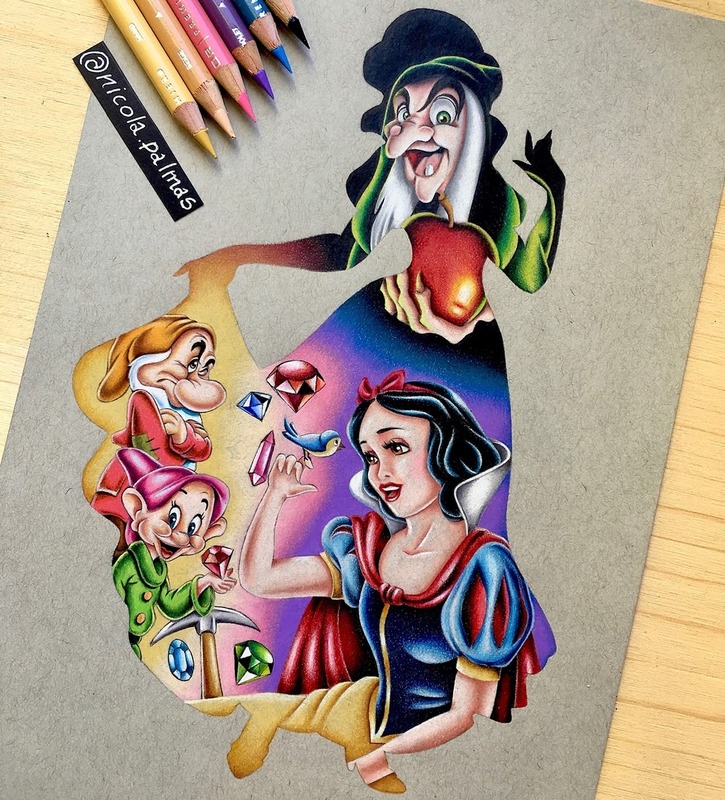 Some of the most famous fairytales represented here. 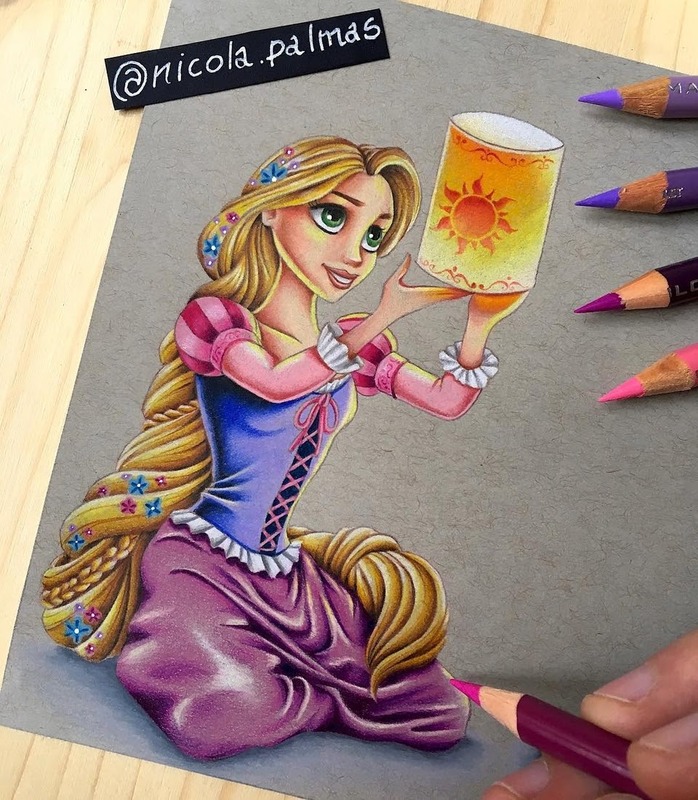 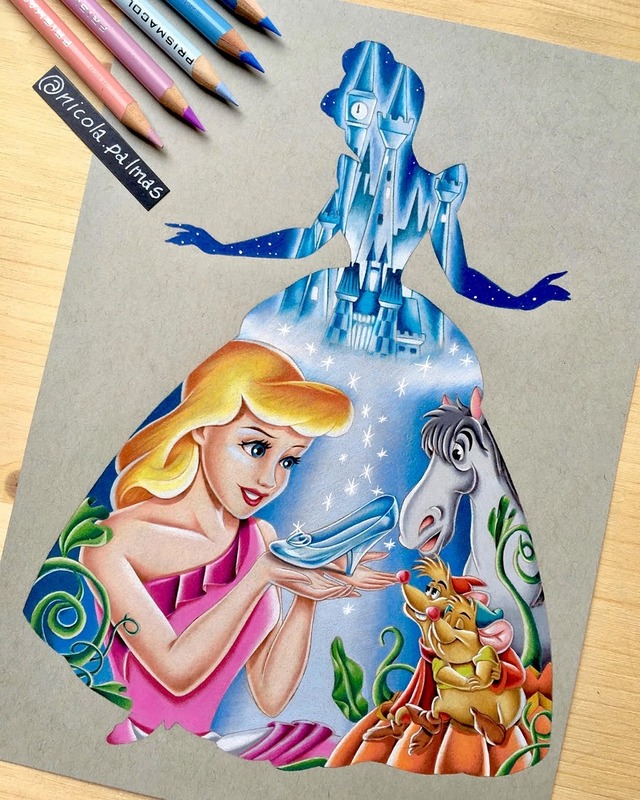 Italian Artist and Illustrator Nicola Palmas uses colored pencils, to create art based on Walt Disney's most watched fairytales. 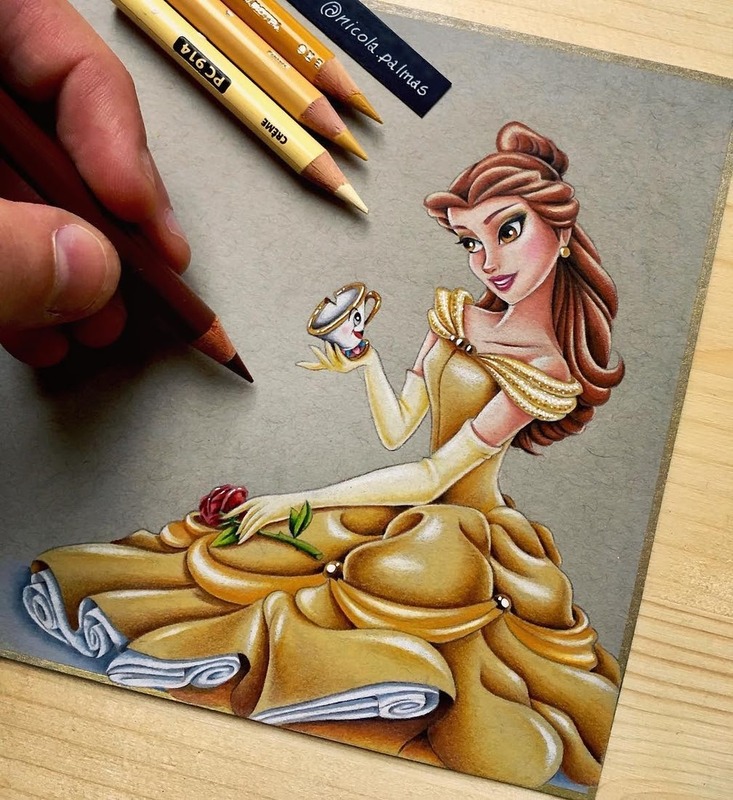 Amongst all of his works, I have picked a handful for you to see today. 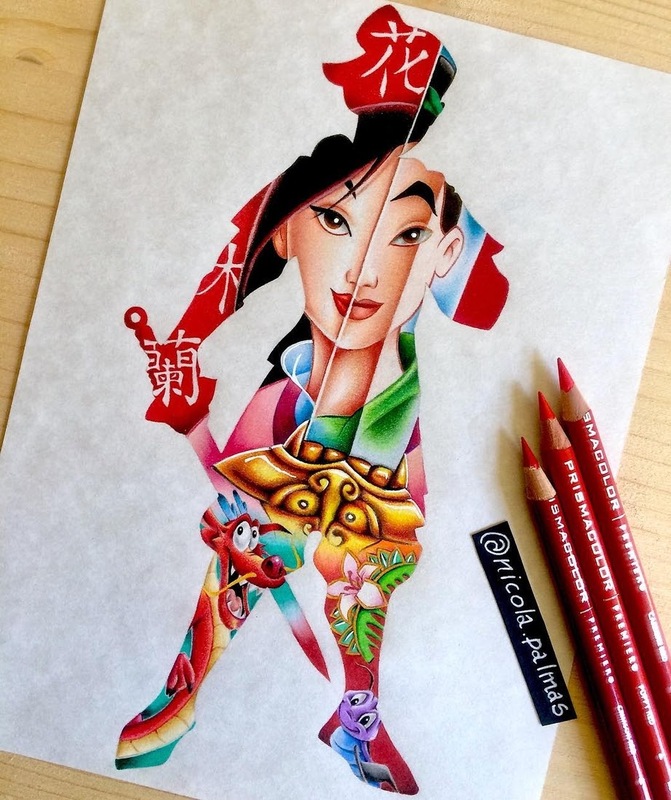 There are some old classics like Mickey Mouse, more recent ones like Beauty and The Beast, to animated movies like Aladdin, that has a remake in the works and coming out in 2019. 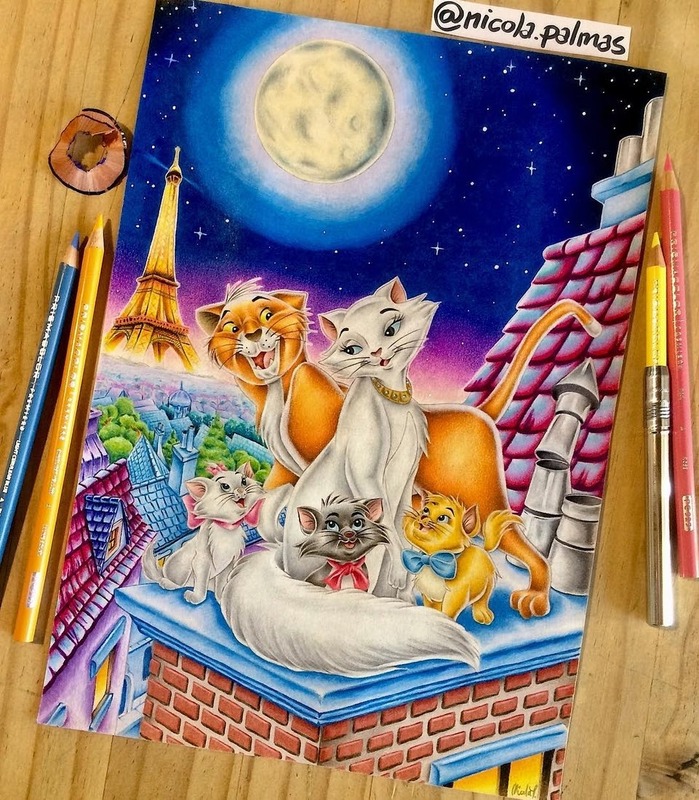 Enjoy these color pencil drawings and the memories that come with them. 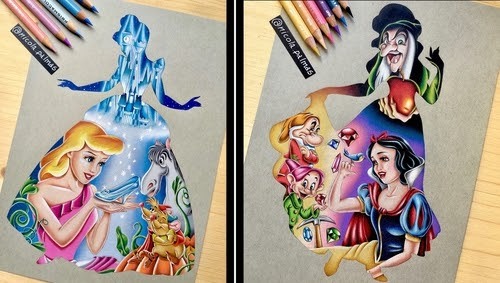 Princess Silhouette Series Snow White. 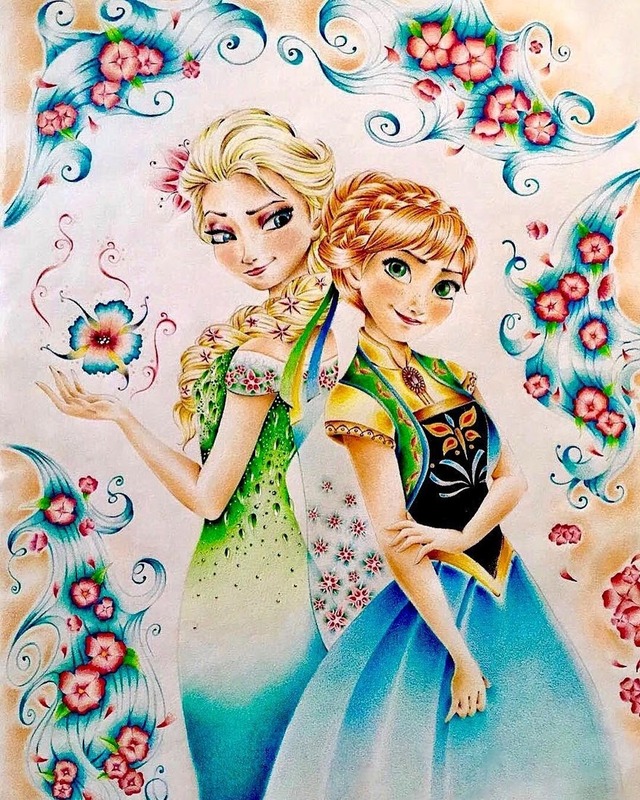 Anna and Elsa from Frozen. 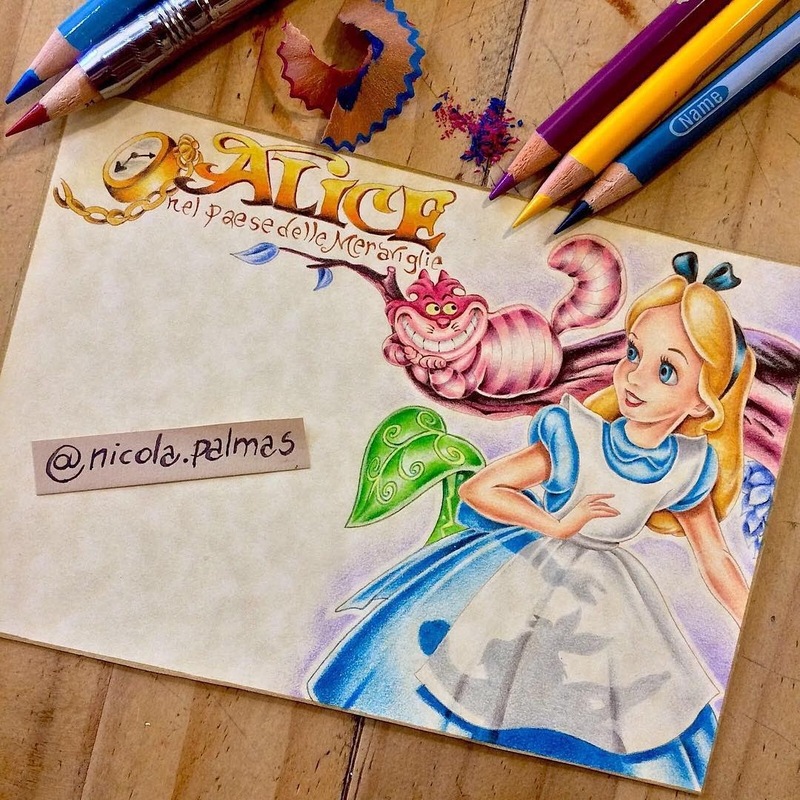 Alice in Wonderland and the Cheshire Cat the original animation. 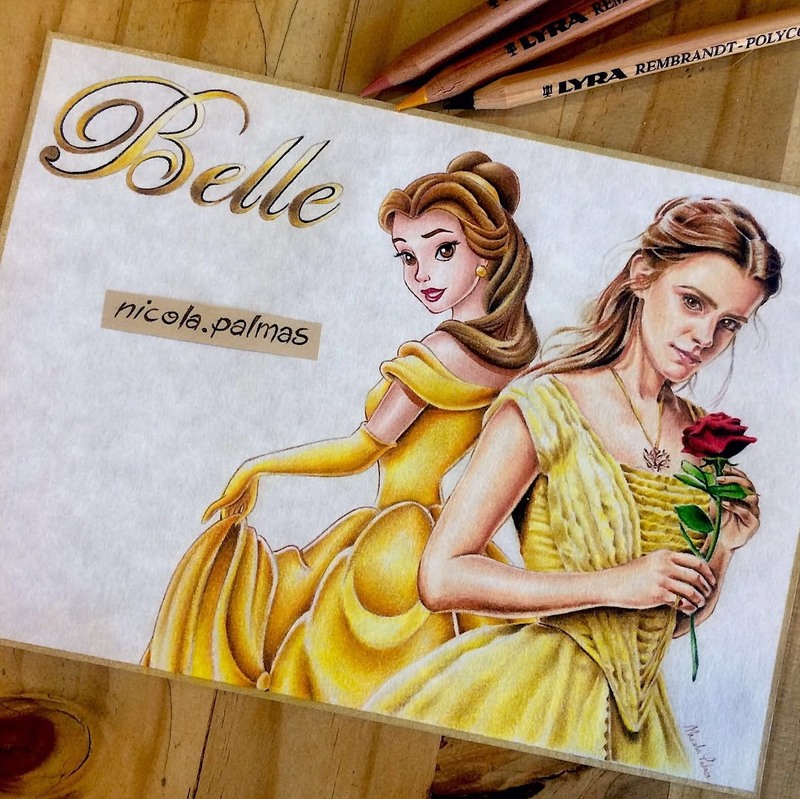 Belle and Emma Watson from Beauty and the Beast. 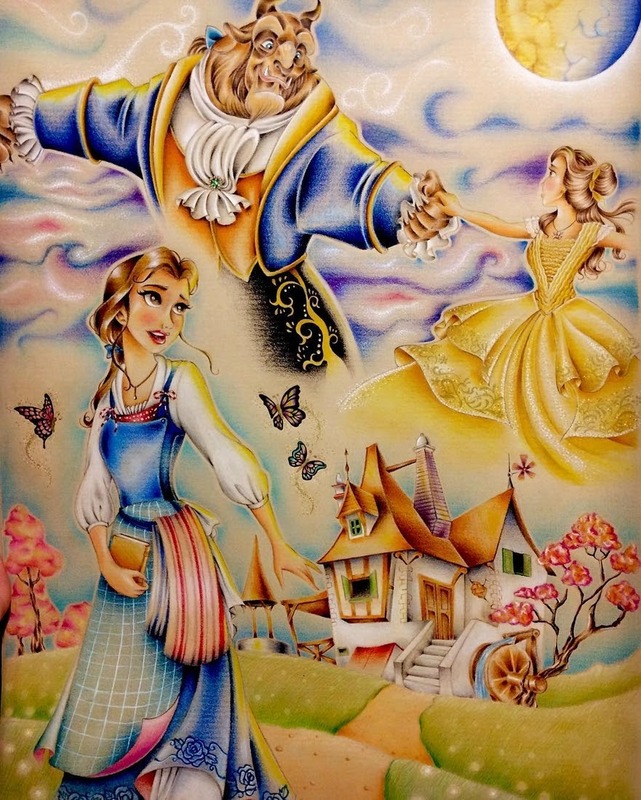 Belle and Chip from Beauty and the Beast. 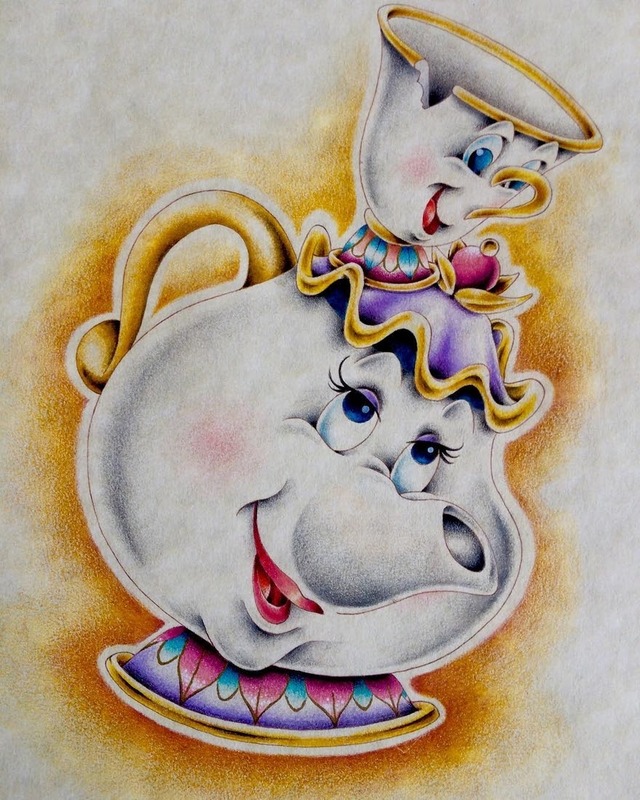 Chip & Mrs Potts from Beauty and the Beast. 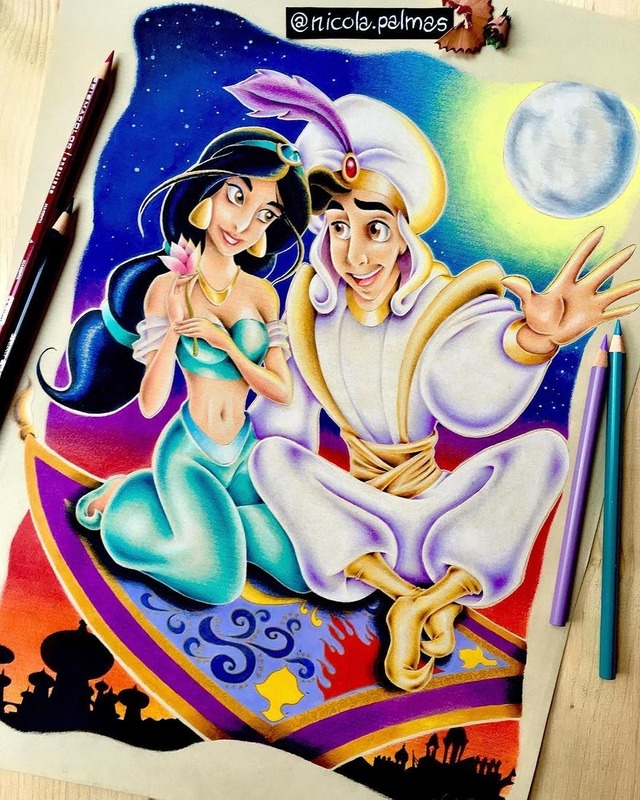 A Whole new World - Aladdin. 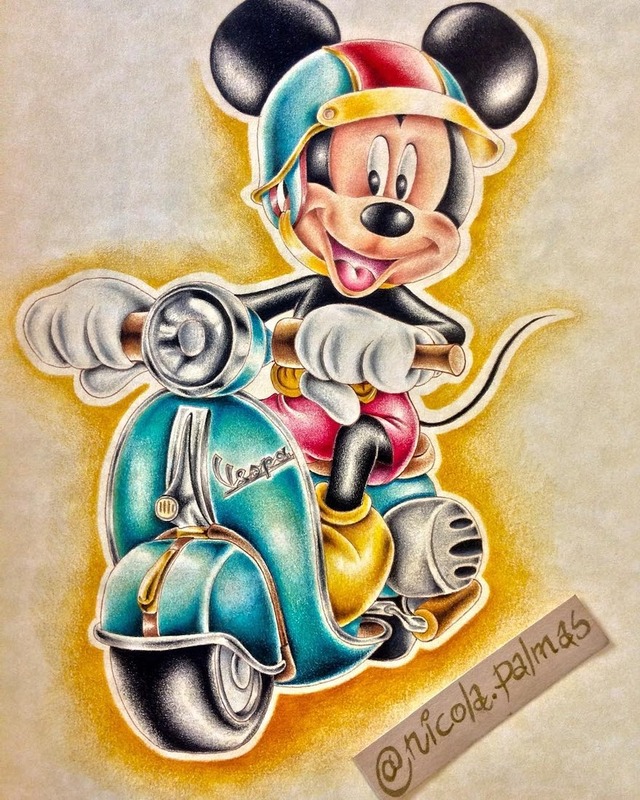 Mickey Mouse on a Vespa.